Prepare for IELTS as per your convenience, without bothering to sit in a classroom at a fixed time. All you need is a laptop and an internet connection. A minimum of 7 is what you need. With our smart and rigorous IELTS training and practice, a 7+ is the least we assure you of. Write our series of mock tests at the end of the course to have an idea of your tentative score in the real IELTS test. We all have our own passions to follow, but our 9-hours jobs hardly leave us with any time to pursue anything. Classroom training is traditional and is often held around the same time we are at work, jamming our way through office chores. Our IELTS Online Program is just for you to be able to pursue your dream and reach places that you always have wanted to. Schedule classes according to your free hours, away from the hustle-bustle of your professional life. The classes are 1-2 hours long, where our trainers explain you the task, the method of doing it and then sit together with you to do a few tasks to make you have a better idea on how to do it best. At the end of the course, we take a series of mock tests. The mock tests are taken for three reasons: One, for you to experience the real IELTS-like scenario. Two, for us to assess if further guidance is needed. Three, for both of us to have a tentative score of your real IELTS performance. Additionally, we will guide you through the test registration process. Why Join our IELTS Online Program? We all have our personal aspirations in life, be it travelling around the world, studying at the major universities abroad, settling down somewhere in the banks of Vienna or have a rolling job and a skyline apartment in New York. These are all dreams, but in reality we hardly have the time to si and prepare for a test. Even for less ambitious projects, an IELTS is a must in order to migrate or study in a nation like the States, the UK, Australia and so on. Our IELTS Online training program allows you to make your dreams come true, without having to go to a class everyday. Choose your class timings according to your free time and attend our online sessions to have a complete understanding of the test, methods of scoring and practice on your own. Our four-weeks intensive course deals with each module of the test: Listening, Speaking, Reading and Writing on each week, separately. At the beginning of the week, you’ll be asked to appear for a test for you and us to assess the areas we need to work on, followed by the introduction of each task, method of approaching each task, techniques to score high and finally, another test session to check the improvement. Each session will be followed by practice sessions with materials provided by us for free. At the end of the course, you are welcome to write a series of mock tests for a tentative IELTS score. In case you have any queries or need more training, our trainers will be more than happy to help at any time. Starting from the introduction of IELTS, training you on the methods, materials, practice, taking tests, to your registration for the test, it is all on us. We suggest session timings according to your time and your requirement. The speed of learning may change from one to other. you may not bother about your pace. You might work at unusual times though we make you convenient for our IELTS online preparation sessions. You can select whatever the module you want to learn. Assessment and Introduction to the module. Tips and techniques for each question type. Regular takeaway assignments on previous years question papers. Prepared speech on sample questions. On-spot speech on sample questions. Speaking practice on previous years questions. Practice test on previous years papers (Timed and Non-timed). Reading paragraphs to understand contexts. Basics of Grammar: Tense, Subject-Verb Agreement, Arguments, etc. At the end of the course, we shall take three mock tests and assess them to give you a tentative IELTS score. Who Can Attend the IELTS Online Training? Residents of any part of India or the world. You need to have a laptop/computer and an internet connection. People who do not have the time or enthusiasm to walk up to a class everyday. Professionals aspiring to migrate to countries like the USA, UK, Australia, New Zealand, etc. Professionals aspiring to pick up a new job in a foreign country. Professionals looking for a change in job abroad. People aspiring to pursue higher education in Universities abroad. People who want to check their English proficiency in general. Will Get A Job After Doing This Course? No. This course is purely to guide you to score high in your IELTS test. 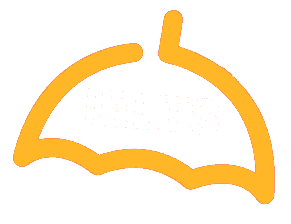 The IELTS test score is no prerequisite for any job, but a criteria to obtain a visa for travelling abroad. How Long Is The Course Duration And Fee Details? This a 30 days course. The class duration each day will be between 1– 2 hrs depending upon the topic for the day. What Is Course Fee? Can I Pay In Installments? What Payments Are Available? You are welcome to pay in installments. For the exact fee structure, please contact us. The IELTS classes are conducted over GoToMeeting. A link will be sent to you before the class. Click on the link and join the class. We accept online bank transfers, Paytm, Google Pay, Bitcoins too. How About Cancellation And Refunds? You can raise a cancellation request within 2 classes upon the start of a batch. Your payment will be refunded in that case. But after the 2nd class of the starting of a batch, your amount will not be refunded. No worries. If you had to miss a class or few classes, we shall arrange backup classes for those sessions from the same trainer to cover it up for you. Will You Provide Course Material?